You are cordially invited to an informal information session on the Mary Mulvihill Memorial Award, a media competition for third-level students. The briefing will take place at 11.30am on Wednesday 8 February in the Irish Film Institute, Eustace Street, Dublin 2. Please inform prospective entrants that they are welcome to attend also. In this first year of the competition, entries are invited on topics related to women’s contribution to science and technology, historical or contemporary. The award of €2,000 will be given to the student whose entry best represents the curiosity, creativity and story-telling imagination that Mary Mulvihill showed in her work. The entries may be in the form of an article, essay, radio programme, video, blog posts, or similar. The deadline for submission is Friday 3 March 2017. 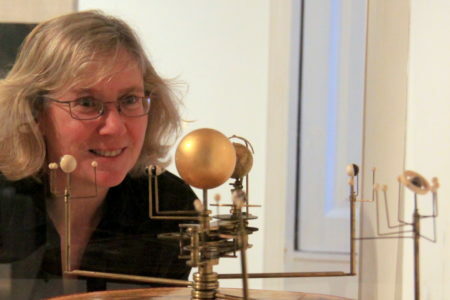 Mary Mulvihill (1959-2015) was a pioneer and an outstanding exponent of science writing and broadcasting. She wrote and broadcast for a wide variety of media, on a vast range of science- and technology-related topics. At the information session we will give more detail on the competition and on Mary Mulvihill’s legacy. Our special guest is science writer and broadcaster Claire O’Connell, who will discuss how she developed her career in science journalism.